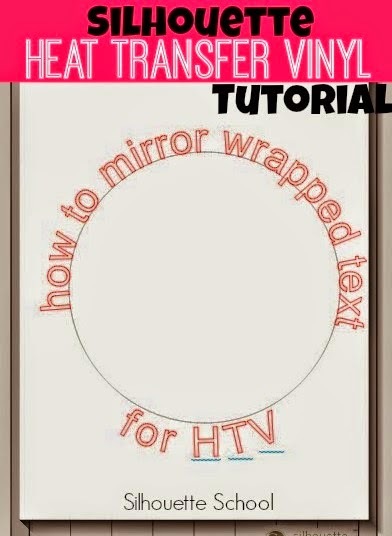 "How do you mirror image (the wrapped text) so you can cut HTV?" This is often needed if you want to make a logo - especially on the chest - for a t-shirt. Michele brings up a good point because for Heat Transfer Vinyl you must mirror your image, especially if you have text, because when you flip it onto your shirt or fabric, it will be opposite of the way it cut. If your image includes wrapped text, however, if you simply mirror it, it won't work. Start by wrapping your text around the circle as you normally would. -Use the Directional Arrow on the green box around the text to drag it and around the circle. Now highlight the entire design and make it a compound path. Do this by right clicking and selecting "Make Compound Path." Now you can mirror the entire image. Click the Replicate Icon (highlighted in blue along the top tool bar below) > Mirror Right. And now all of your text is flipped. Delete the original design so you are only working with the flipped image. Highlight the mirrored image > Right Click > Release Compound Path. 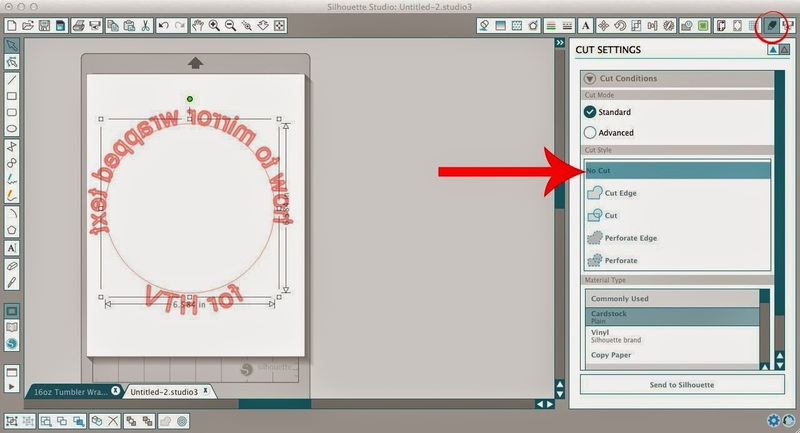 By releasing the compound path you can now select only the text to "Cut" and mark the actual circle as "No Cut". And there you have it...a perfectly mirrored text wrap. Note: This post may contain affiliate links. By clicking on them and purchasing products through my links, I received a small commission. That's what helps fund Silhouette School so I can keep buying new Silhouette-related products to show you how to get the most out of your machine! Awesome tutorial! I was getting so frustrated trying to figure out how to cut my design for heat transfer! Thanks. Exactly what I needed and explained so simply! Thanks!